KATHMANDU, Oct 06: Ministry of Culture, Tourism and Civil aviation, Rabindra Adhikari has said that the runway of Gautam Buddha international Airport will be operated within 6 months. Though the government had announced to operate the runway from 2076, July it will not be operated before 2076 due to some technical issues. After the establishment of the runway, the international and domestic flights can be carried out from the airport. Although the work of pitching the runway is only remained also the tender of traffic and connecting device required to connect airport is remaining. The works of civil box will be completed within the month of October. Due to delay in the works of tender it will take some time to operate the commercial flight. 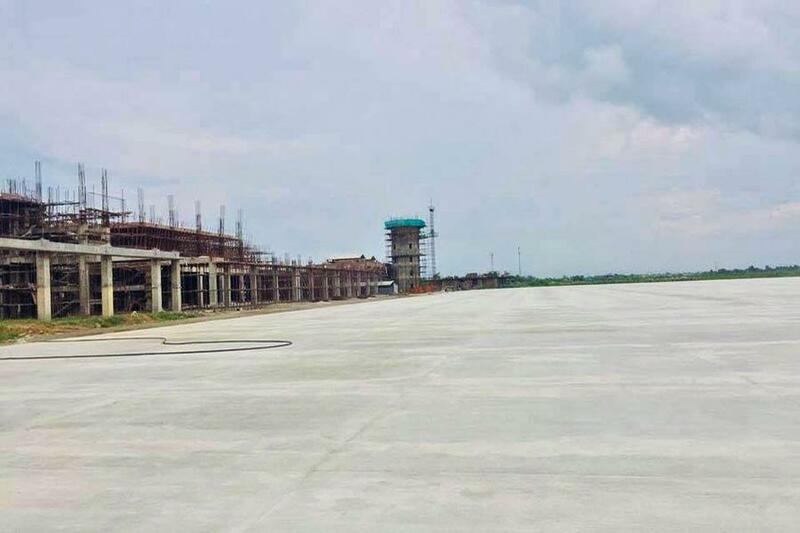 The project is given to the Chinese construction company and the work of runway, terminal building, control tower, runway light system will be completed within 2076. Due to the delay in the works of connectivity, server, navigation and air traffic equipment there will be delay in the operation of the airport. According to the officials, It will take around 4 month to complete the necessary works. The airport is estimated to be operated from mid of 2076 or till the end of 2076.